Brass players are a funny bunch, especially when they have time on their hands in an empty practice room. 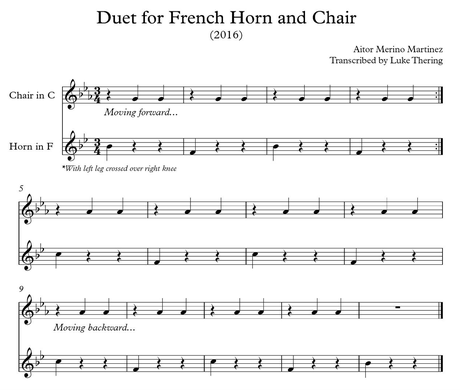 If there’s something that French horn players love, it’s the gentle lilt of a waltz. They’ll sit for hours, puffing out the first beat of every bar so that everyone else can get on with their melodies. Evidence of the French horn player’s nonchalance is abundant in this excellent video of two bored musicians messing around in a practice room. Top work from Luke Thering - make sure you check out his other work here.